When we think of a villa, we picture a large, colonial country home situated on many acres of land owned by a single family with a staff dedicated to their every comfort. That is still true today in many parts of Italy, and the experience can be yours on your wedding day. Many of these generational villas that have en suite bedrooms (seven or eight rooms or more) are now available to rent for your Big Day celebration and pre- and post-wedding events. Some have been turned into hotels that operate seasonally, have industrial kitchens and restaurants, beautiful pools and spas, and conduct renovations and upgrades during their off season, maintaining exquisite facilities--so you're guaranteed an unforgettable experience. Let's go over some key characteristics that will help you differentiate and decide which villa is right for you! Many of Italy's villas operate as hotels and require exclusive-use buyouts for the duration of your wedding. This is a good thing! It means no other guests will be staying at the property, and no other events will be taking place during your stay. Whereas at a hotel you may have to endure some less-than-savory experiences--other guests peeking or blatantly staring at your ceremony, sharing amenities such as the pool and spa with strangers, lack of privacy and space for rehearsal dinner and morning-after brunch, running the risk of compromising service and attention--with an exclusive-use villa, you'll have the place, and staff, all to yourself. Think having the kitchen open 24 hours--snacks included!--or having the chef available to whip up special requests on-call; sound amazing? It's possible at an Italian villa. Want to have a pool party at any time of the day or night? Go for it! When all of the guests are your friends, no one else will be around to frown or complain about the noise. Want to leave your doors unlocked so that you can wander in and out of each other's rooms? No problem when the space is yours and yours alone. 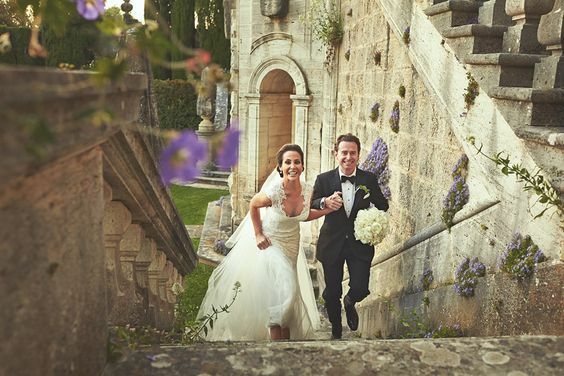 You won't be interrupted during a photoshoot either: You, your photographer and your guests have free run of the grounds and can snap away anywhere at anytime--no one will be asked to move or keep to a designated room or terrace. Exclusive-use rentals can be priced anywhere from $7,000 a day, with a two to three-day minimum, to $22,000 a day. Remember, guests can still pay for their own rooms--which will lessen the sting of the price for you--and you'll provide an exclusive experience they'll be talking about for years to come. If you need a recommendation, one of my absolute favorite venues is the extremely luxurious Villa Cora in Florence. Resplendent with art and frescos and lavish textiles, every part of this magnificent estate is magical, and the service is top notch. Think of a privately owned villa like a super-upscale Airbnb. It's owned by a private person or company and can be rented out for events, but you'll have to bring in all the of the necessary service providers (think: catering--including chef and servers--rentals, bar staff, set-up/take-down crew, lighting etc.) All services--breakfast, room cleaning etc.--need to be arranged for as well; the villa's owner or management will certainly assist in making the arrangements. The villa may have a minimum number of required nights--likely two to three--and the number of guests a villa can accommodate varies depending on the size and location of the property. Some villas may sleep 16 to 20, while others may accommodate more. Here's the best part about renting a villa that allows you and your guests to spend the night: You'll feel right at home on your very own estate--a truly once-in-a-lifetime experience. If you're renting the space for the day of your wedding only, you'll need to find accommodations for your guests nearby and provide transportation to and from the ceremony site. You'll have exclusive use of the entire property for the day, but you'll have to depart at the end of the night--before you turn into pumpkins! Tying the knot in 2017? 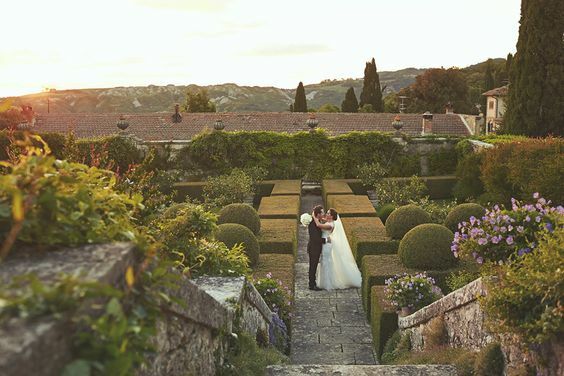 Get all the help you need to plan your dream Italian villa wedding from WEDAWAYS, my soon-to-launch boutique destination wedding planning site. Check back later this year to learn more. Follow @reneestraussBH & @wwwedaways on Instagram and Twitter!